In life-threatening forms of cancer, cells stop working correctly, grow, divide, and spread throughout the body in harmful ways. These diseases impact the lives of many people, directly for those diagnosed and indirectly for the friends and families of those diagnosed. So many distinct forms of cancer with multiple unique diagnostic tools and approaches to treatment can be overwhelming for those diagnosed and those supporting them. Historical struggles with cancer can create a hopeless perception of disease prognosis, but advances in cancer diagnosis and treatment mean that many cancers can be well managed and even cured. 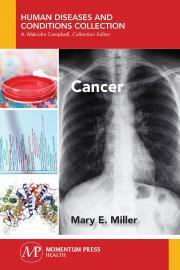 This book discusses four types of cancer: skin, lung, breast, and prostate cancer. Wrestling with a diagnosis of one of these cancers can be complicated by the variety of treatment choices available and the unique medical history associated with both the patient and the cancer. The complexity of diagnosis and treatment requires that each cancer be considered a distinct disease, with some underlying common features. The author describes these common features and then discusses each cancer in terms of symptoms, diagnosis, causes, treatments, and future advances.